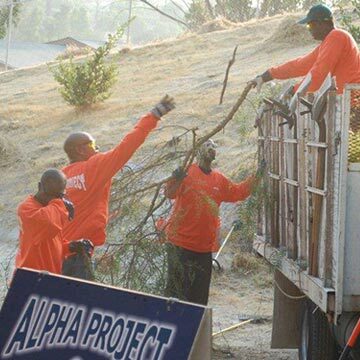 At the core of all of Alpha Project’s facilities and services is a program of Community Outreach. Operating out of Alpha Project vans, the outreach teams drive to areas where homeless people congregate, including downtown, North Park, Hillcrest, National City, the Port of SD and other areas. In an effort to develop relationships, our teams offer food, water, clothing, hygiene supplies, blankets, heat packs, transportation assistance, help obtaining identification, as well as a compassionate ear. 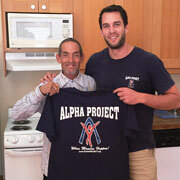 Alpha Project is well-known and trusted within San Diego’s homeless population, and our outreach staff members have developed a solid rapport with the homeless over the years. 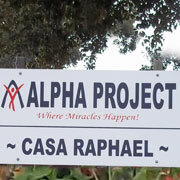 Alpha Project's Rapid Re-Housing Program provides rental assistance and security deposits as well as landlord advocacy, assistance with finding affordable housing and case management assistance to families and/or individuals who are homeless with the goal of moving them into permanent housing. The Rapid Re-Housing Program provides both financial and case management assistance in a regular manner, consistent with their individual needs. 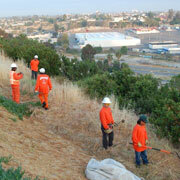 Take Back the Streets (aka TBS) is a program that has been in operation since 1987. 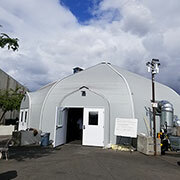 TBS is a catalyst for homeless people who are able to work, providing them with immediate transitional employment and training while providing the community with vital cost saving services. 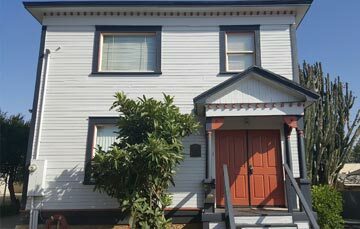 Alpha House is designed to provide sober living and transitional housing to clients needing safe, clean and affordable housing while transitioning back into the workforce. 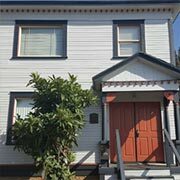 The facility is one of East San Diego’s oldest Victorian homes and was purchased with funding from the City of San Diego with private donations financing the rehabilitation of the property. Fire Season is here, and Alpha Project can prepare your property for upcoming fire inspections and help protect your home and family from wild fires. California state law requires 100 feet of defensible space around homes and structures to dramatically increase the chance of a home surviving a wildfire, as well as providing for firefighter safety as they defend structures. Community Justice Initiative, (CJI), is a restorative justice program for adults designed to help them resolve their court case without criminal conviction, while offering them the chance to give back to the community. 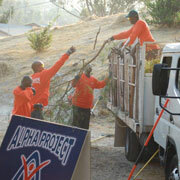 Alpha Project offers participation in community service work as restitution or "payback" for a minor offense. Once enrolled in this program, individuals will complete 16 hours of community service and in exchange they will not have a criminal conviction on their record. The Home Finder Program is funded by the County of San Diego Behavioral Health Services (BHS). 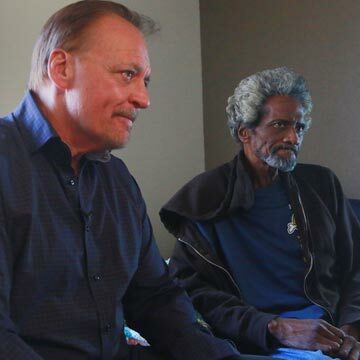 Home Finder serves clients who are homeless and are experiencing serious mental illness and are connected to designated outpatient County of San Diego B.H.S clinics. Home Finder is responsible for the provision of housing identification, housing navigation, supportive services and trainings. Wheels of Change empowers residents, builds self-esteem AND provides meaningful transitional employment, while giving back to the community. 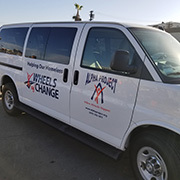 Wheels of Change provides transitional employment opportunities, paying minimum wage, to individuals residing at Alpha Project’s Temporary Bridge Shelter program. The Tenant Peer Support Services Program (TPSS) is funded by the County of San Diego Behavioral Health Services (BHS). Tenant Peer Support Services serves clients who are ages 18 years or older, homeless or unstably housed and are connected to a designated county outpatient clinic. The TPSS program is responsible for identifying available housing in San Diego, helping participants navigate the housing market, and providing supportive case management services and trainings. The Cortez Hill Family Center for homeless families is a program of the City of San Diego, administered by the San Diego Housing Commission (SDHC) and operated by Alpha Project for the Homeless. The program provides 156 beds in 47 units for families with children experiencing homelessness. Annually, the program provides roughly 150 families and 500 family members with safe housing and supportive services needed to prepare for longer term or permanent housing, as well as successfully promoting self-sufficiency, wellness, and recovery.